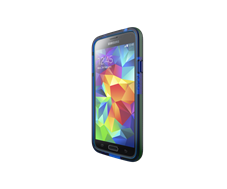 Tech21 has launched a new range of protective cases for the Samsung Galaxy S5. 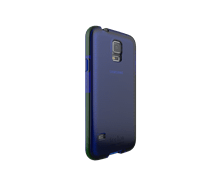 Customers can chose from a range of styles to suit their taste including; Impact Shell, Impact Mesh, Impact Herringbone, Impact Tactical and for the first time for the Galaxy range, the Impact Frame and Impact Frame with Cover. Apart from the different designs there’s also a range of colours to choose from including White, Blue and Clear and Pink. 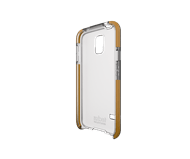 The cases use scientifically proven materials such as D3O, FlexShock and BulletShield combined with ingenious, slim fitting design. 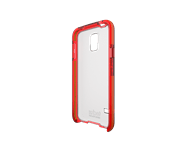 Impact Frame is the latest innovation on the ever popular Tech21 line – a soft outer case, with hard, frosted back plate for optimum protection and style available in five colours including Red, Pink, Purple, Blue, Clear and Smokey – SRP £19.99. Impact Frame with Cover, offers an executive feeling flip cover, that importantly can be used for calls with the cover closed or open, available in Red and Clear SRP £24.99. Impact Mesh which is similar to previous best selling designs, also features a mesh design to back, making the case 5 sided for added protection available in Smokey and Blue SRP £24.99. Impact Herringbone is perfect for those who want something a little different and has a distinctive look and feel SRP £24.99. Impact Tactical has been designed for those whose daily life requires additional protection while on the move SRP £24.99. Impact Shell has a revolutionary design with easy “clip-in” application SRP £24.99. The cases for the Galaxy S5 will be available from leading UK retailers on 11th April 2014.